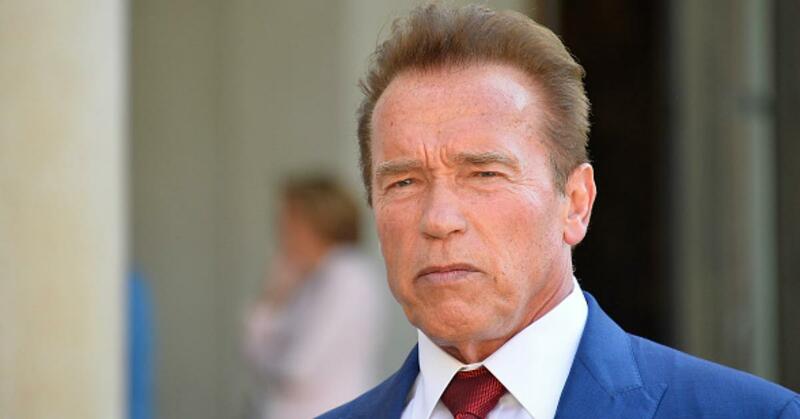 Arnold Schwarzenegger has been very, very vocal about what he perceives as Donald Trump's multiple failures during his presidency. But the native Austrian's latest critique of Trump hits close to home as he was born only two years after the fall of Nazi Germany. So he went on camera to deliver a simple message for Donald Trump in the wake of his failure to take a strong stance against white supremacists and it's that, "The country that defeated Hitler's army is no place for Nazi flags." And honestly, he's right. The video was posted in response to Trump's statement that "both sides" were to blame for the violence in Charlottesville. Which is something Arnold explains just isn't possible. People praised the actor/Mr. Universe/former governor for his concise, direct message. Clearly demonstrating his passion for american politics. There is always more to Arnie than meets the eye. Democrats need some candidates that can once in a while go into Arnold mode. Easy words and blunt messages simply reach more people. Others lamented the fact that they couldn't vote for Arnold. Can I just say if @Schwarzenegger was nominated president of the United States I would totally vote for him!!! In all honesty though, it's crazy that we're living in a time period where Arnold has to even say something like this, and there are tons of American Citizens who still want to parade an enemy's flag around as if its the symbol of their beliefs. I'm sorry, do you not care about the tens of thousands of Americans who died while fighting Hitler to topple the Nazi regime? Do you hate your country? Do you hate what we're supposed to stand for? Do you dishonor the veterans and families of veterans, many of whom were killed by fascist ideologies and the notion of "racial purity" that we, as a nation, demonstrably struggled against to stop Hitler from taking over the world, which he nearly did? Well if that's the case, then leave America if you love Nazism so much and swastikas and the idea of a "pure" race. America has no place for your bigotry. Go find yourself a time machine and join Hitler's army you traitor.